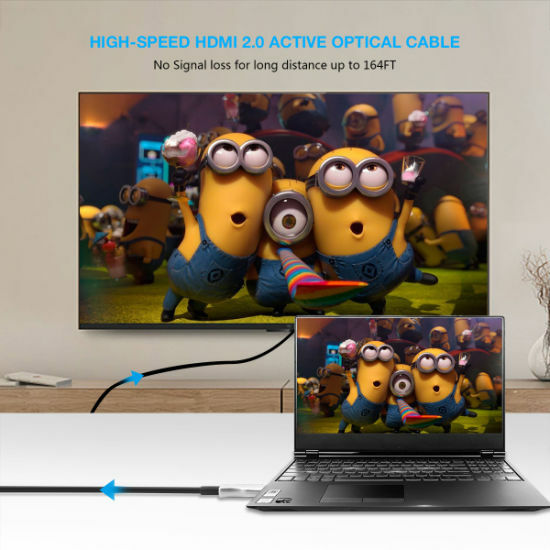 Fiber HDMI Cable, 4K Fiber HDMI Cable, HDMI Cable manufacturer / supplier in China, offering 4K Fiber HDMI 2.0V Cable, Bluetooth 5.0 Wireless Earbuds with Auto-Charging Box, Mini VGA to HDMI Upscaler 1080P and so on. HDMI Active Optical Fiber Cable with Built-In chipset supports Maximum Data Rate 18Gbps with light weight, flexible and ultra-small long-term bending radius. With our advanced optical engine embedded. 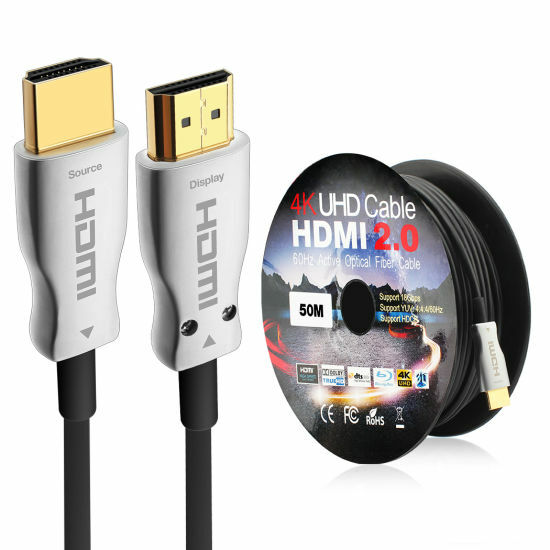 This HDMI Hybrid Cable provides full HDMI signal interity, support up to 300m maximum lenghth, plug and play. No external power required. 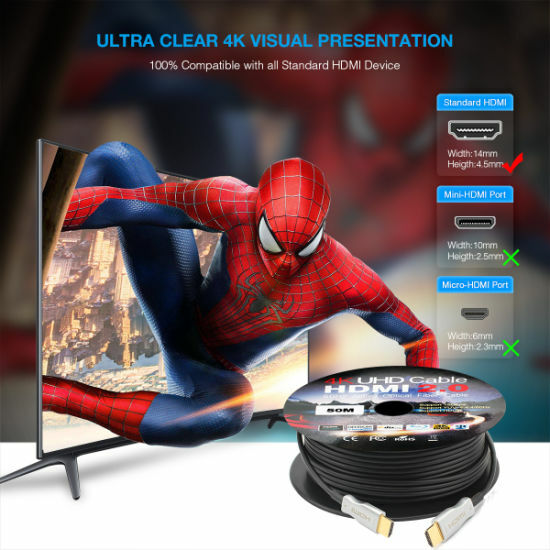 With 4K image, this active optical cable delivers higher definition images and high fidelity audio, offering you best experiences such as PS4/Xbox 4K gaming. 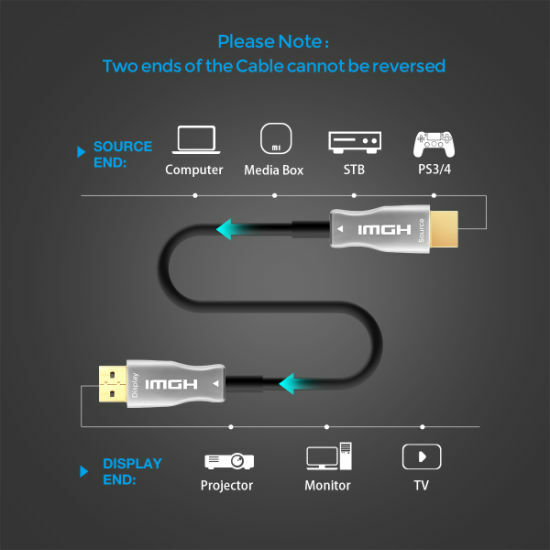 2.Compatible with HDMI 2.0 standard. 4.No loss of signal-delivering crystal clear digital images instantly. 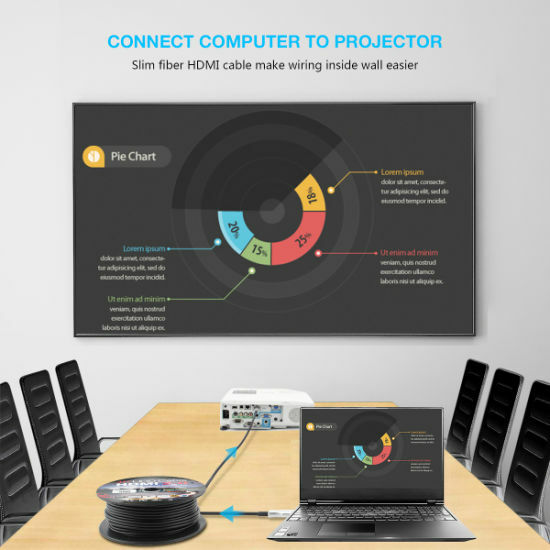 5.Supports computer resolutions to 1080p and 4K(60Hz). 1. One-Direction Installation: This Fiber Optic HDMI Male to Male Cable with Source Interface (Transmitter unit) for connecting HDMI source; Display Interface (Receiver unit) for connecting your HDMI display device. 2. It draws power from HDMI port, so it needs a standard HDMI port of the source device, otherwise the cable can't work.